AlphaNinja - Filed under the REALLY!?!? section. Yahoo CEO Carol Bartz, on the ongoing discussions about a search deal with Microsoft. 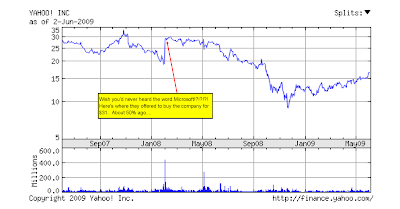 "I personally think we'd be better off if we never heard the word Microsoft," Bartz said at the Bank of America U.S. Technology conference.